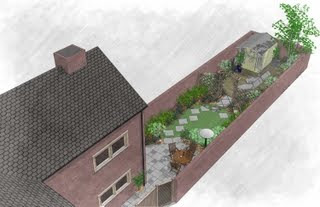 "This web-based software is impressive and has lots of potential for novice garden designers. It’s a suite of 3D garden components (plants, furniture and hard landscaping features), for use with Google SketchUp – a free piece of 3D modeling software from Google. It provides the basic components to create a garden, plus design inspiration and advice... All of our member triallists liked this software... Our verdict: one of the best visualization tools around. Practical and versatile..."
WHAT IS 'GARDEN DESIGN PRO'? A simple solution to suit all skill levels and budgets, giving you the tools to create garden designs in 3D - based around Google's SketchUp software. It's easy to learn, quick to use and low cost - starting at just £16.15+VAT! CAN YOU DESIGN YOUR OWN GARDEN?